'It's Not A Fairy Tale, It's Not A Failure': A Mother At 16 Conquers Stigma With Love Until she put her own feelings before the judgments others made about her, April Gibson says she, as a young mother, "felt like I didn't deserve to feel the way women who do the right things do." 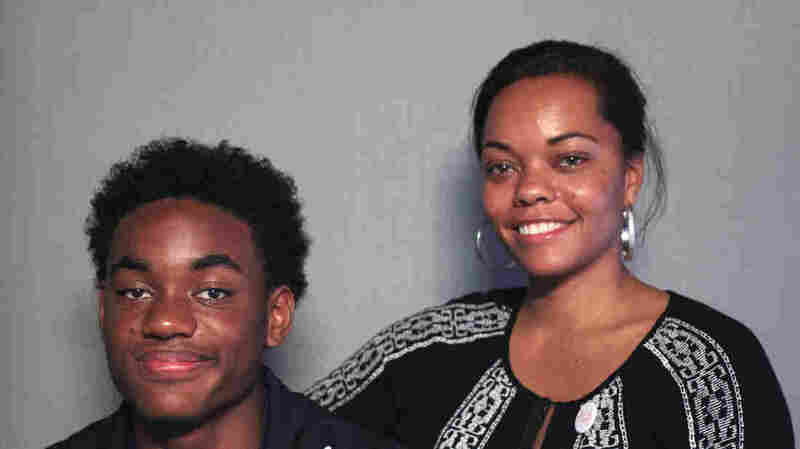 During a StoryCorps conversation in St. Paul, Minn., April Gibson, 33, tells her son Gregory Bess, 17, about what it was like raising him when she was a teenager. A favorite pastime for April Gibson and her teenage son, Gregory Bess, is simply talking to one another. "I think I learn more from those conversations than school," says Gregory, who turned 17 on Thursday. 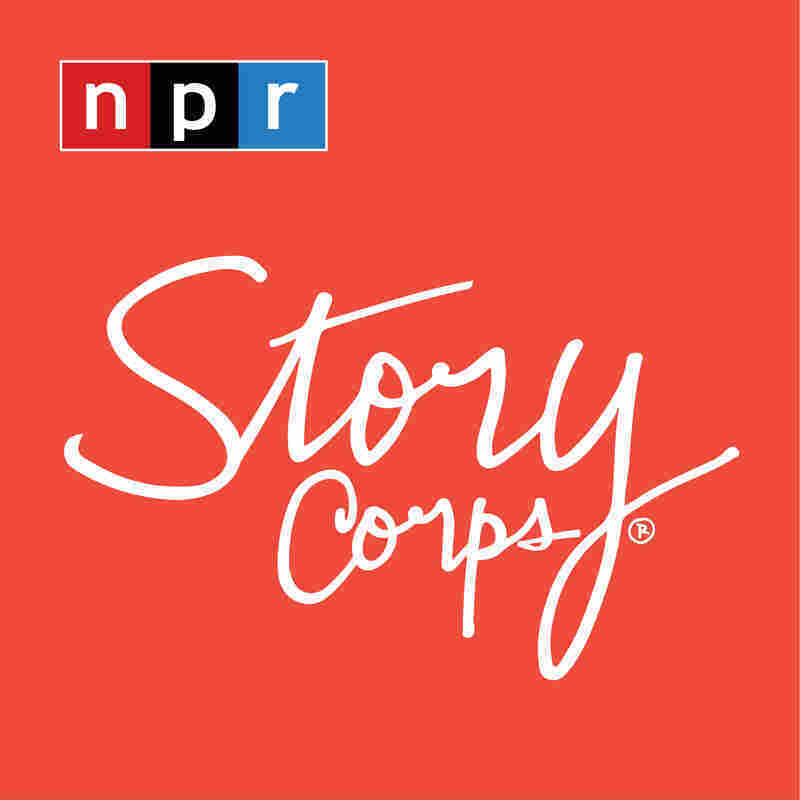 But during a recent StoryCorps conversation in St. Paul, Minn., April, 33, knew he wanted to talk about a subject the two hadn't really explored. 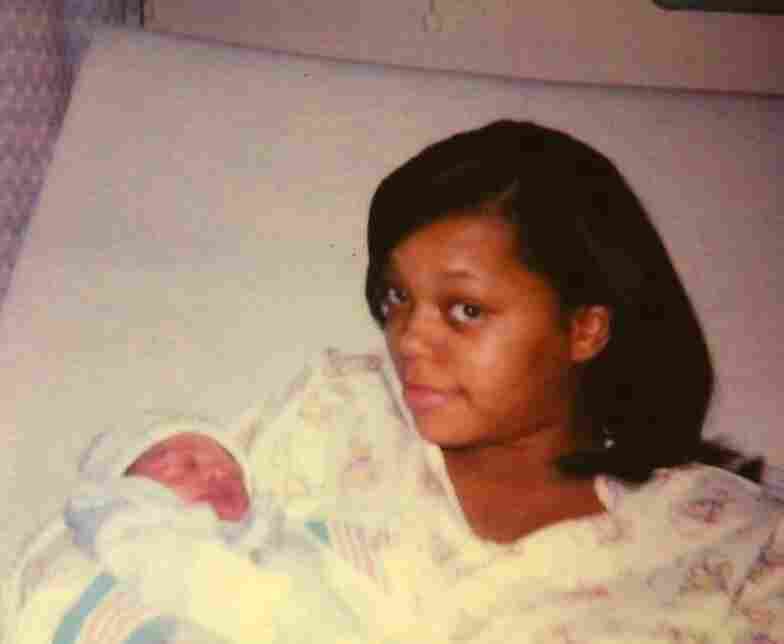 April invited her son to ask about what that time was like for her, as a young black mother. "Now you can ask me the hard question," April says. "What did you feel like when I was born?" Gregory asks. "I actually didn't feel anything," April says. "I was 16, and I was a kid. I didn't know what I was doing. So when I took you home, I didn't know how to feel. I made a bad choice according to everybody. 'You're just like all the rest of them.' "
April Gibson gave birth to Gregory Bess in 2001. In the beginning, those judgments masked her own feelings. "I don't know what 'the rest of them' means," she says, "but I know what it felt like. Like I didn't deserve to feel the way women who do the right things do — because why would you celebrate someone making such a poor choice?" Because April didn't know what to feel, she says she felt nothing. "And I just took care of you," she tells Gregory. "I did what I was supposed to do." Then one day, she had a realization. "I couldn't believe what people told me about myself or about 'those people' like me," she says. "This is my baby, and I love him, and I can feel something. It's not a fairy tale, it's not a failure. It's just a process, and now we're here, 16 years later." Gregory asks his mother what hopes she holds for his future. "My dream for you, Gregory, is that you become a good person. And not a nice person — that's not a deep quality to me. Niceness is mediocrity," she says. "I want you to not be afraid to be afraid. But mostly, I want you to be better than me." When he was younger, Gregory says, he wanted to find someone to look up to. "But it's always been right in front of me," he says. "You're just the greatest person that I ever known. And I just want to be like you." Produced for Morning Edition by Liyna Anwar.